When your dentures need relining, repairing, or just a little tender loving care, you can expect the best results from Denture Design Studio in College Place, Washington, serving people there and in Walla Walla. 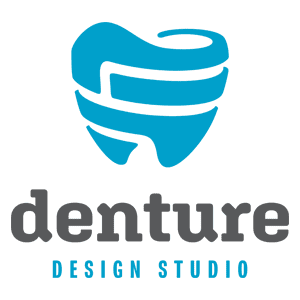 The experienced team at Denture Design Studio specializes in in-house dental appliance design, fabrication, care, and maintenance and offers same-day denture repair. Call Denture Design Studio today. What do I do if my denture breaks? It can be tempting to try to fix a broken denture at home, but don't do it! It's essential to have a professional take care of it, and Denture Design Studio has over 30 years of experience in designing, making, and repairing oral appliances. All dentures and denture repairs are done on-site, and same-day services are available. While you wait for your appointment, clean your denture pieces and place them in a bag until Denture Design Studio can handle the repairs. What types of denture repairs are possible? Properly caring for and repairing your dentures ensures a comfortable fit, maintains the health of your mouth, and extends the life of your dentures. All denture repairs including teeth replacement are done in-house at Denture Design Studio. How often are dentures replaced? Dentures usually last 5-10 years, but their lifespan depends on how well you care for them. Your mouth naturally changes as you age. Not only do your gums recede and shrink, but your jaw alignment can shift. As your mouth changes, so will the fit of your dentures, so you’ll need new ones to avoid discomfort and problems. How can I avoid broken dentures? To avoid breaking your dentures while brushing, brush them over a sink filled with water or over a folded towel to create a softer surface. For same-day denture repair, call Denture Design Studio to schedule an appointment today.